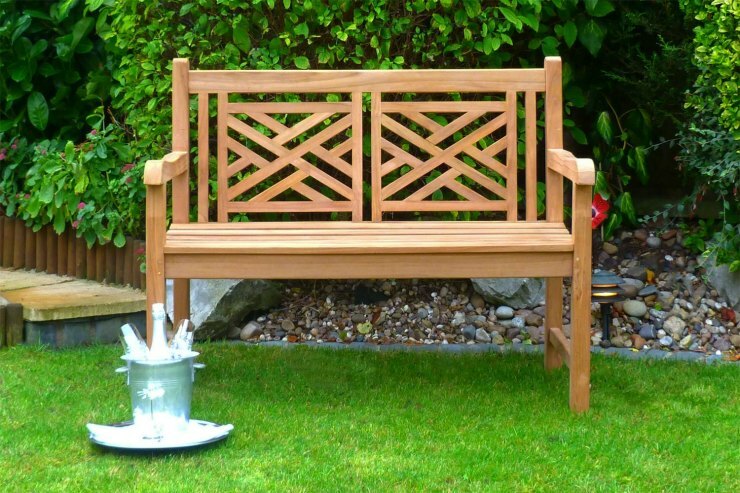 Wooden benches for your garden come in a variety of shapes, designs and sizes. Not only can they be designed to look traditional or modern, but they can also be great for creating a functional and fun family seating area too. Plenty of people have benches in their garden as a place to sit, as well as the decorative focal point. However, what you might not realise is that wooden benches are also a great sign that you are ready to welcome people into your garden too. Here are some reasons why you should have a garden bench in your garden. One of the main reasons that people install wooden benches into their garden is because they want to sit together and chat. Benches come in a variety of styles, some are for two people to sit together, some offer the option of two separate seats that are joined together with a table in the middle. Some are large picnic style benches that everyone can crowd around. The bench that you pick for your garden will really depend not only on the space that you have to spare but also, just how many people you think will be visiting you and your garden. There is no better feeling than sitting on a wooden bench and simply watching the world go by, particularly if that is with a large cup of tea in hand. Having a garden bench means that you always have a place to sit down and relax, no matter the time of day or the weather. Many people like watching the birds and local wildlife in their garden too. For your guests, it also shows that you are ready to sit down and chat whenever they need you, without having to go to the hassle of digging out a folded chair into the garden or even dragging a chair from inside, outside. Whilst the main aim is to provide a place to sit and bring people together, garden benches can also do this in style. Garden benches come in a variety of styles and designs that will appeal to everyone, so you will definitely find one that will fit in with the rest of your garden and your own personal style. You can opt for intricate and ornate or perhaps something a little more basic. It really is down to you. Memorial benches are incredibly popular. This is because they allow you to sit and think about the person who is no longer in your life. They are often placed in public places or sites of particular interest to the person who has passed away, but they can just as easily be located in someone’s garden. Having a memorial bench in your garden is not only ideal for you to use, but also could be a site that family and friends can come and sit down too, remembering the person that has passed. It can help you feel closer to them, despite them no longer being around. As we have already covered, garden benches are a great place to sit together and relax. Which means that they are a social spot within your garden. This is particularly true if you pick out a garden bench that is has a table attached. You will often see these used by families who like to eat together outside, as well as those people who like to throw parties or BBQ’s in the summer months. The great thing about wooden benches is that they are always there, which means that no matter when it is, no matter who has come to visit, you are going to be ready and waiting to invite them into your garden. As you can see, there are a variety of reasons why people see garden benches as a way to be welcomed into a garden. Why not install a wooden bench into your outdoor space and see just how much it improves it? With so many different styles to choose from, you are never going to be stuck finding a wooden bench that is not only the ideal style for you, but offers something extra to your garden and give your guests the welcome that you hope to achieve. The phrase 'beauty is in the eye of the beholder', often holds true when it comes to what people feel when they look at a home or business for the first time. Positive or negative first impressions are formed instantaneously. 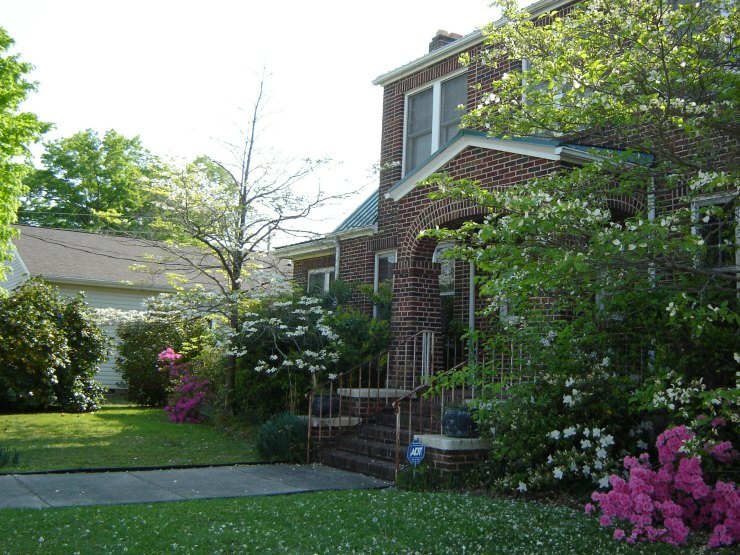 Curb appeal refers to the aesthetic charm of a residence or commercial property when first seen. Usually, this becomes more significant when selling the property. The new kerb appeal in the internet-obsessed age is having your property up for sale on an internet listing. “Web appeal” means that a home’s interior and exterior both need to be inviting enough to tempt potential buyers online. A company’s kerb appeal sends a significant message to customers. Current and potential customers form an opinion about your business based on how it appears from the outside. 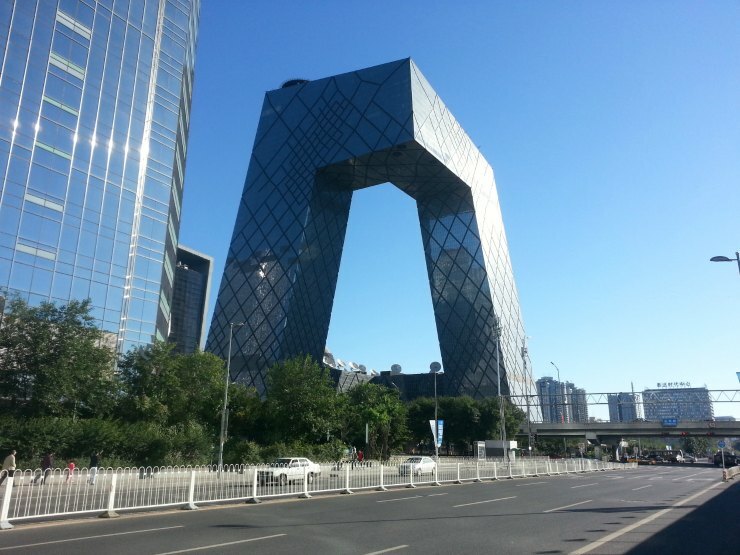 There are some notable examples worldwide where unusual exteriors have raised eyebrows, for example, a sporting venue’s entrance that resulted in a redesign five years after construction, artsy apartments in Seattle, USA or even the CCTV media house headquarters in China, referred to as “the Big Pants” by residents. These whimsical structures contrast with the Brutalism exemplified by bare concrete that was prevalent from the 1950s to the mid-1970s. Brutalism was the style popularised in post-war Britain, exemplified by many shopping malls, government projects and high-rise apartments. 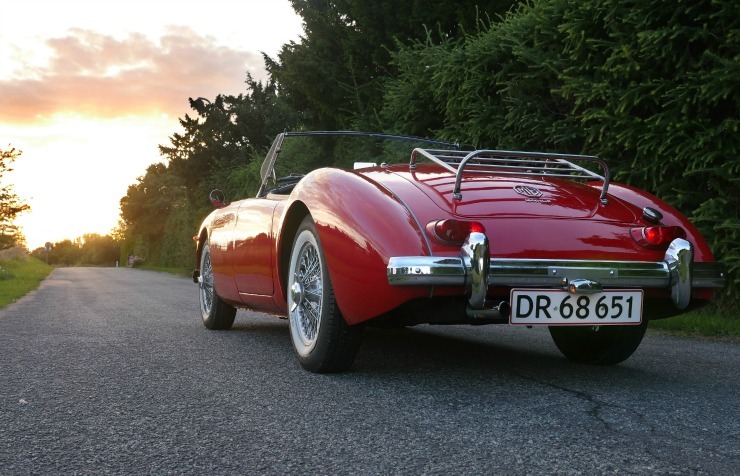 Its origins can be traced to French-Swiss architect Le Corbusier. 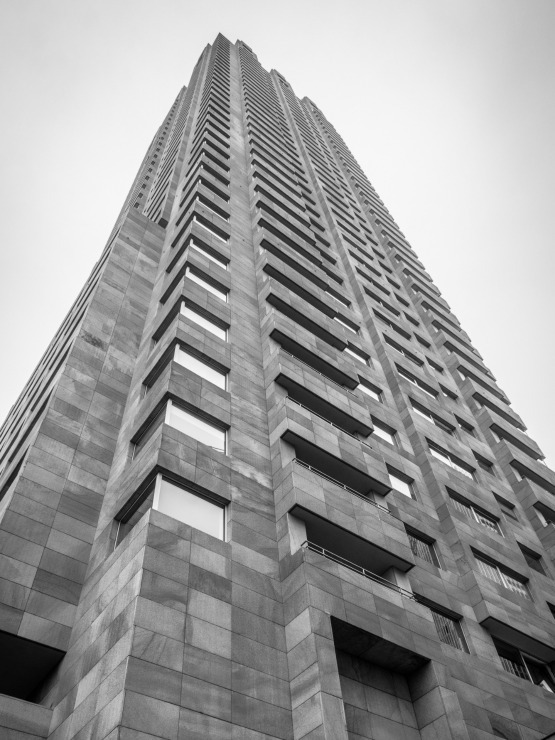 The name itself was derived from béton brut or “raw concrete,” but the name created a wholly different and for some, negative connotation. 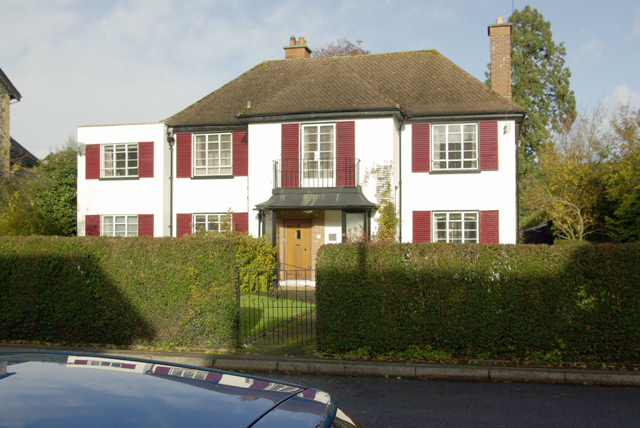 This architectural legacy resulted in different box-shaped homes built from cheap and ageing materials, which over time, became quite unpopular and hotly debated over whether it is worth preserving or not. Discarding an architectural genre does not come without resistance, so there will likely be a compromise. The exterior of any property can be tweaked through several imaginative options. Some inexpensive fixes to a boring house include putting on some accent trim like shutters, investing in some creative landscaping or painting the entrance a new colour. Even your old driveway can get a pick-me-up with some paving stones to uplift a lacklustre entrance. Creating an outdoor space at the front of the house for entertainment can also make the home quite inviting. 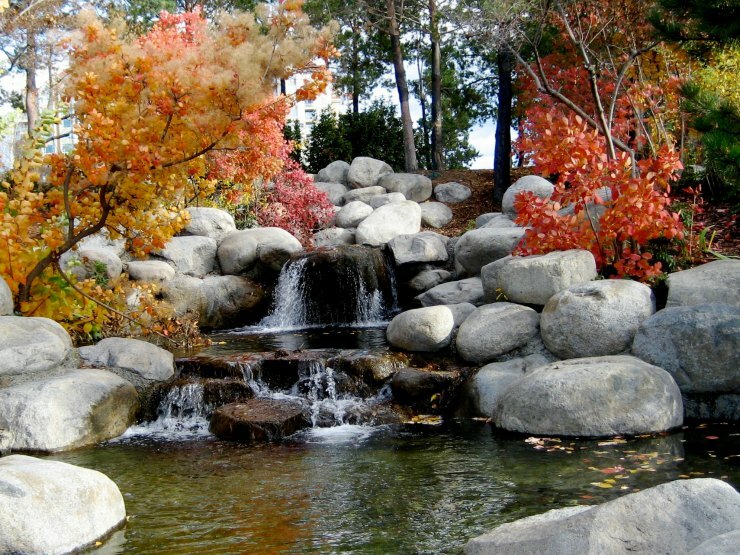 A water feature, for example, is both pleasing to the eye and calming. For a business, architects can incorporate some comfort features into a new facade so that the style of the business is improved, and the functionality is enhanced as well. Contemporary buildings also have the critical role of improving energy performance for the interior of a building. Natural ventilation may be the purpose of the upgrade. In improving the exterior, access may be upgraded to accommodate ageing clientele or those with vision or physical issues. Though the term 'kerb appeal' relates to selling a property, it’s not the sole reason for improving the exterior. Besides sending a message about you, the homeowner, or about the business, there can be a functional reason for an exterior upgrade like energy-efficiency or improving access. A professional can assist, but there are reasonable options that you can do to turn your uninspiring entrance into a visual masterpiece. Do you have ways of adding kerb appeal to your home or business? If you ask someone who works in the beauty industry what their favourite part of their job is, there is a good chance that they will find it incredibly hard to decide which part is the best. That doesn’t mean that there aren’t any benefits, in fact quite the opposite. In this post, we outline 7 main benefits of working within the beauty industry. Of course getting discounts and freebies is never enough of a reason to set up a business on its own, however, one of the best perks to being within the beauty industry is that you get to enjoy some of the very best brands out there. You may get a discount because you are recognised as being a trade customer, as well as the ability to access some of the newest products on the market too. You may even find, from time to time, that particular brands will send you samples to try, something that you can encourage by reviewing and sharing about that brand when you do use it. There is no better feeling than knowing that you can help someone else. When you make over a client, cut their hair, paint their nails or any other form of treatment that you carry out, you are making them feel great about themselves, and this can help their confidence grow and improve their self-esteem. This, in turn, can make you feel pretty great about yourself and what you can do too. No matter the industry that you work in, being self-employed is great if you want flexible working. Being a beautician is no different. Whilst you are going to have to work around the type of appointments that your clients want, you decide when you work and how often. This is ideal if you have a family that you need to take care of. There are not many jobs whereby you get to showcase your skills in such an obvious way every day. Not only do you get to flex your creative muscles when it comes to working with your clients, but you can show it off on yourself too. Making you a walking talking advert for your skills and experience. 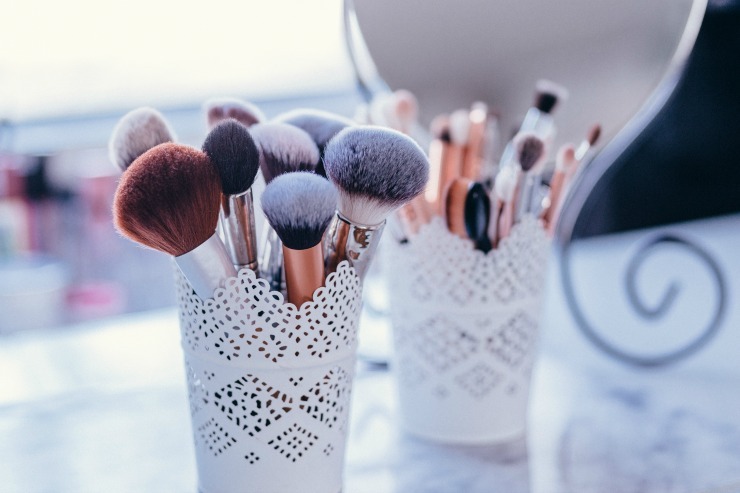 If you like to be kept on your toes and always learning something new, the beauty industry is perfect for you, as it is always moving and changing. Learning new skills and keeping up to date with the fashion and beauty industry trends is a perfect way to expand your knowledge, whilst giving your clients new products and beauty treatments. If there is one thing that you are going to quickly realise when you work in the beauty industry, is that it's a very social environment. Brushing up on your social skills so that you can make small talk is a good idea if you are thinking of this as a career choice. One benefit of this is that you will expand your social circle and get to know a wealth of new people on a regular basis. If there is one thing that you will quickly realise about the beauty industry, is that it can be great fun. Working within a salon or spa often means there is a great camaraderie. If you work alone there are still many ways you will work with people such as on photo shoots, or with bridal makeup or hair. Working with people in such a vibrant industry means it can be great fun. You never know, you may even get to work on a catwalk or for a magazine! Think that you fancy working in the beauty industry? Not sure where to start? The best place is checking out some of the beauty therapy courses online with NCC Home Learning, where you will be able to learn more about what is required as well as finding out everything you need to know. 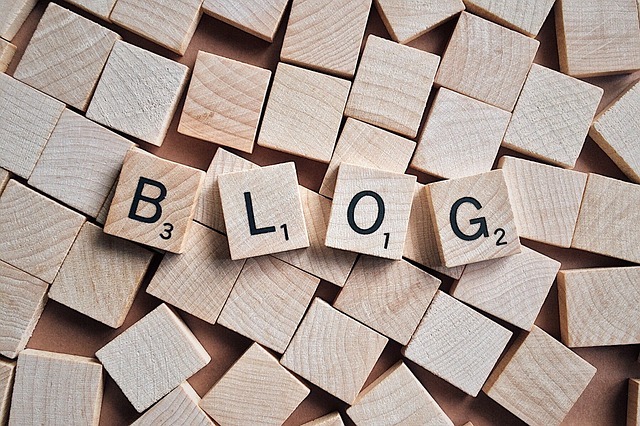 People start a blog for many reasons - for the love of writing, to impart some information about their passion, to raise awareness of an illness or condition, and to help support their business are some such reasons. Once you've got into your stride and got your head around the process of blogging, you may start to think about how to monetise your blog. I know I did. 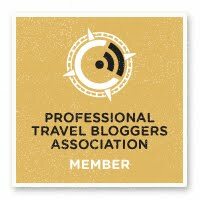 I started my blog to support my jewellery business but over time it changed to a lifestyle and travel blog. After about eighteen months I started getting offered sponsored posts but only started to accept them when I became a full-time blogger. There are no hard and fast rules these days, things may be different for you and many bloggers now start a blog with the initial idea of making money from it. 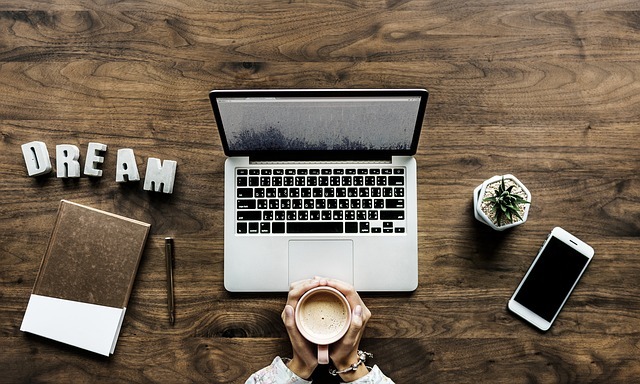 You can make money from a blog if you are a part-time blogger or a full-time blogger, you can run a blog alongside your full-time job and you can run a blog from anywhere in the world. 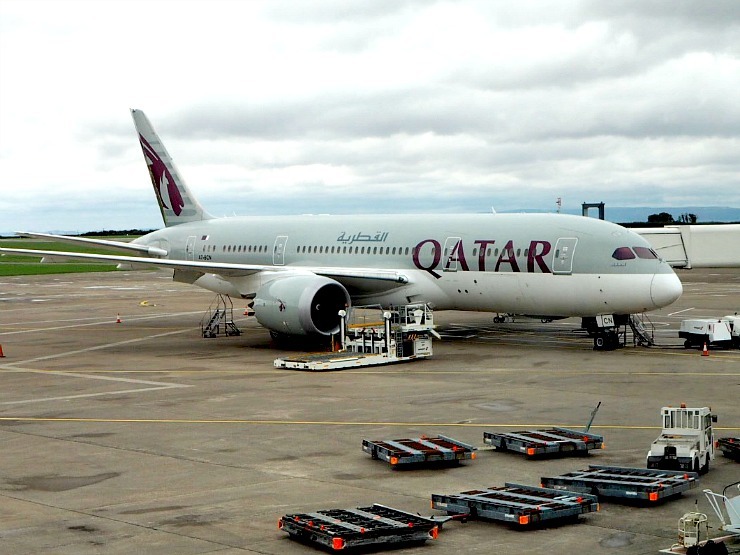 It's the perfect job to fit in with travelling or family commitments. That's one of the reasons why it's the perfect job for some, and it's certainly the best job I have ever had. So let's get down to the important part, how to make money from your blog. Many successful bloggers have multiple income streams and in this post, I will cover some of these as below. Sponsored posts are where I make the most money. There are three main types of sponsored posts. Where you are paid to write a post about a brand/product/destination on your own website. Where you write for a companies website. Where a brand writes for your website, often called a guest post. If you are open to sponsored posts be sure to have your email address clearly visible on your website. Many of my sponsored posts come via email, so this is vitally important. There are some really good blogging opportunity sites out there too. 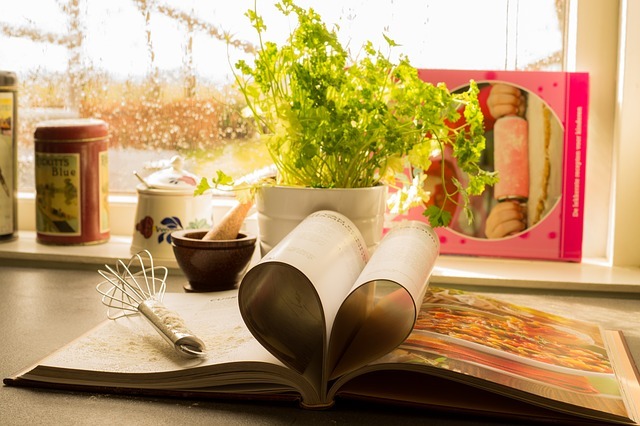 Sites such as Guest Bloggers Wanted, from Ginger Marketing. This site allows bloggers to register for free, and you pitch for opportunities posted by brands. I've personally worked with them twice now and it was straightforward to set up a profile, easy to pitch for work, communication was simple through your workspace and payment was quick. In the UK it is the law to identify sponsored posts and bloggers will often mark posts as *Sponsored post, *PR collaboration or *Guest post. 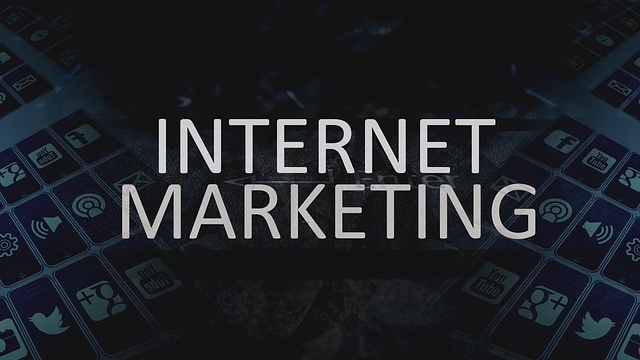 Affiliate marketing is the process of earning a commission by promoting other people’s or company’s products. 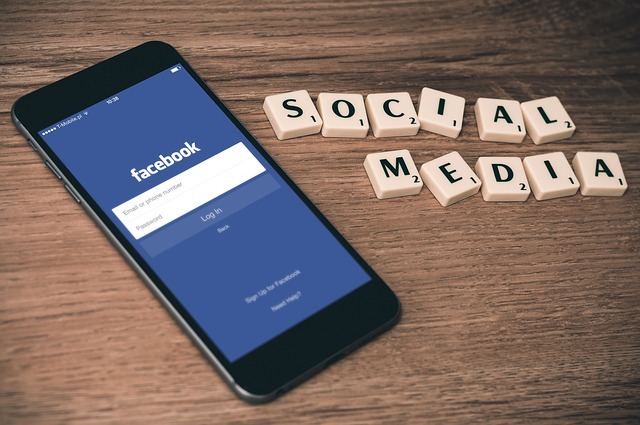 In practice, this is usually where a brand or affiliate site such as Adsense, Skimlinks, Amazon Associates or MediaVine places a link into your post or advert on your blog and when someone clicks on or buys from the link the blogger will earn a commission. Affiliate marketing can be a decent earner for some bloggers. The popularity of gift guides is an easy way for bloggers to get affiliate links into posts. Check out this link on how to get started with Amazon Associates by money saving blogger Emma Drew. 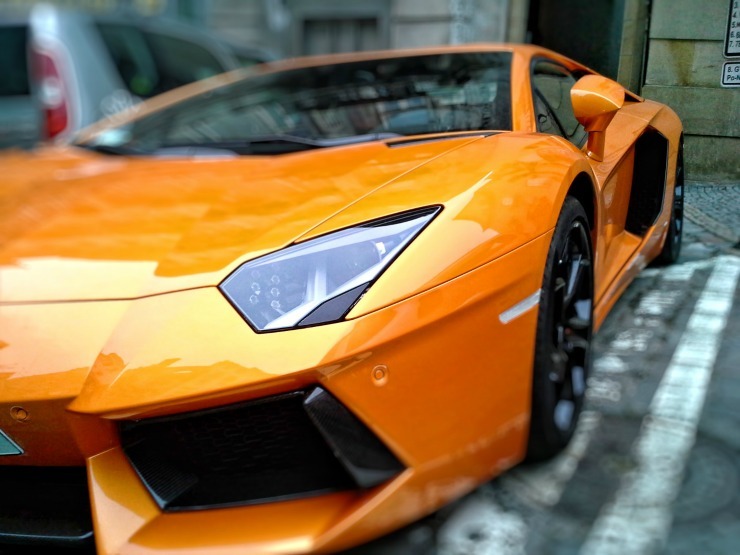 You can also sell advertising space on your blog. Adverts in the sidebar or the home page are popular and can give you a nice little side income. Don't forget it's important to be transparent and clear to your readers if affiliate links are being used on a blog. This can be a digital or physical product. A popular thing to sell is an E-Book about something useful such as a travel guide to a destination, how to make money online, travel writing courses, effective SEO tips, a recipe book, Pinterest courses and so on. You can also sell physical products. I've seen bloggers sell branded t-shirts and clothes, jewellery, books and tours. You can sell on sites such as Etsy or try an integrated solution like Shopify with Wordpress, or go old school and get a publishing company to back your book idea. Some of these bloggers have had best selling books too. Think of Deliciously Ella and Joe Wicks who were both bloggers and influencers and who have written books on healthy eating and cooking and Nomadic Matt who wrote a New York Times best-selling travel book on how to travel the world on a budget. So think about that passion you have for your blog and convert it into a best selling book - it can be done! Bloggers can make money by selling links in posts. 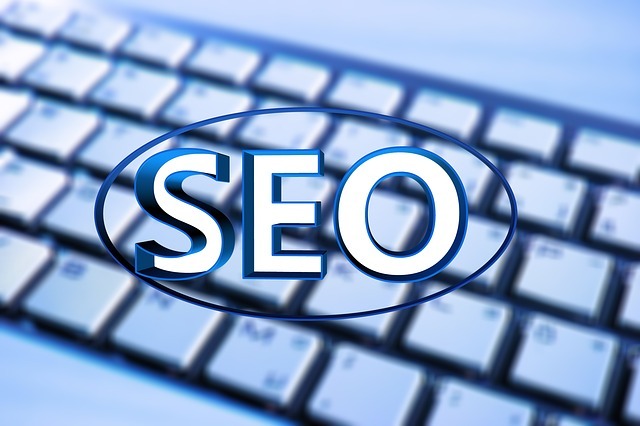 SEO companies will contact you and ask to place a link in a new post or an old post. They will want a follow link from your site which will give their website a Domain Authority boost. Google frowns upon this and you can get a Google penalty, meaning your blog will not be able to be found on Google. However, this does happen on a regular basis and is not illegal so I think it's important to mention this. I am not passing any judgements but if you do this, be prepared to take the risk, and ensure your post is marked as sponsored/collaborative (that's the legal bit). Once you have been blogging a while, why not consider selling your expertise? 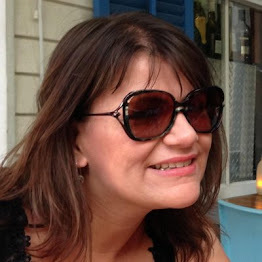 You become multi-skilled when blogging, so why not get paid to talk about it? One of my blogging friends has just got a regular column in a women's weekly magazine for example. Blogging events often ask for bloggers to speak at them, you may get paid, a ticket to the event and expenses, it depends on the individual event. It's often a good place to raise your profile to brands involved as well. The knowledge you have learnt can be of help to those less experienced so you could talk to brands about how to work with bloggers, business groups about using social media and other bloggers about how to take great photos for example. The important thing, however, is to be sure to declare it to the tax office as soon as you start earning money. For more idea on how to monetise your blog check out this post by Rebecca from Keen On Saving - Making Money Blogging - Can It Be Done? 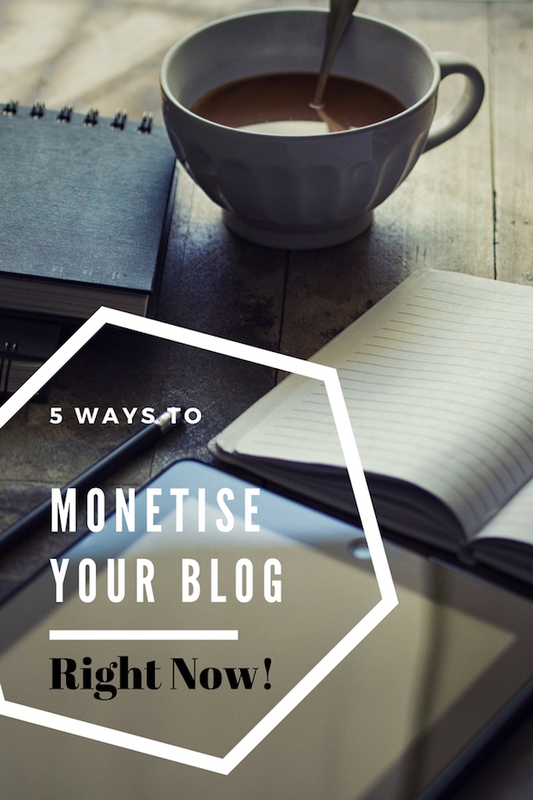 So this post covers 5 main ways on how to monetise your blog and make money from blogging. Do you know any more? If you travel a lot, sometimes you just want to stay somewhere a bit different. Here are my best-themed luxury hotels for that unique stay. 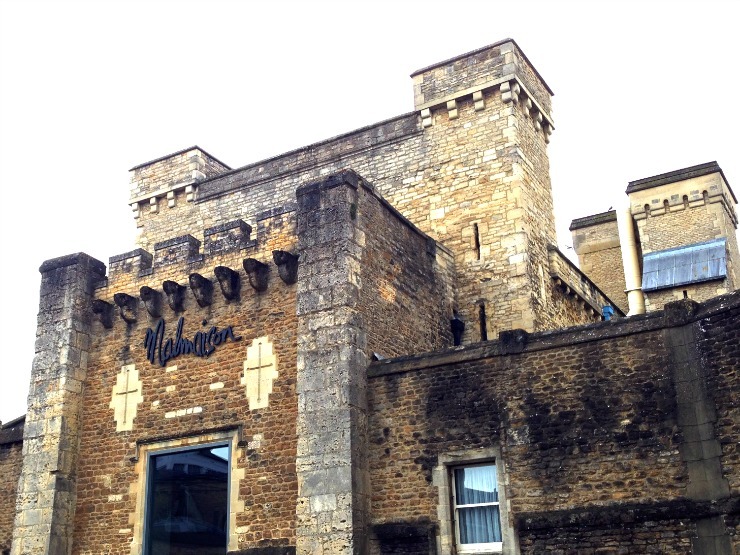 If you want to find out what life is like in a prison but you don't want to do the time, try the Malmaison Oxford. 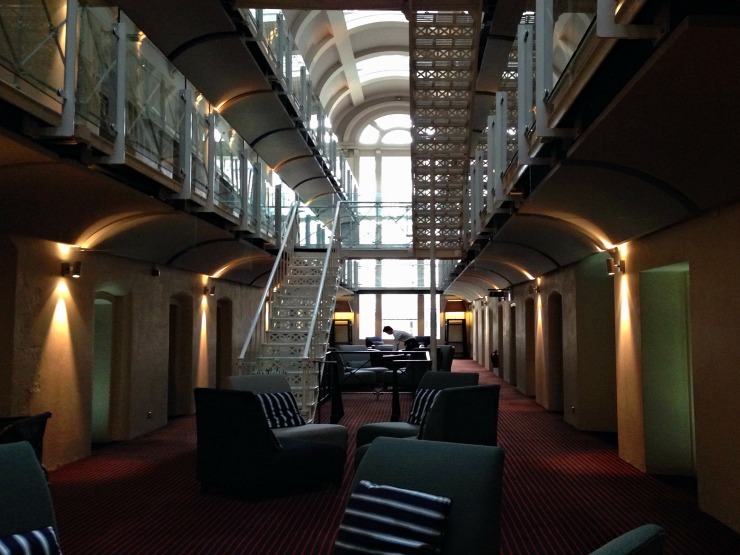 This converted prison is great for a unique stay. Rooms are far more spacious than your standard prison cell, as when they converted the prison they combined cells for the rooms. You can stay in a standard room or a cell room, with a heavy door, and cell window, but don't worry, every room has wi-fi, luxurious beds and power showers. You certainly won't be slopping out here! Recommended due to the uniqueness of the building. 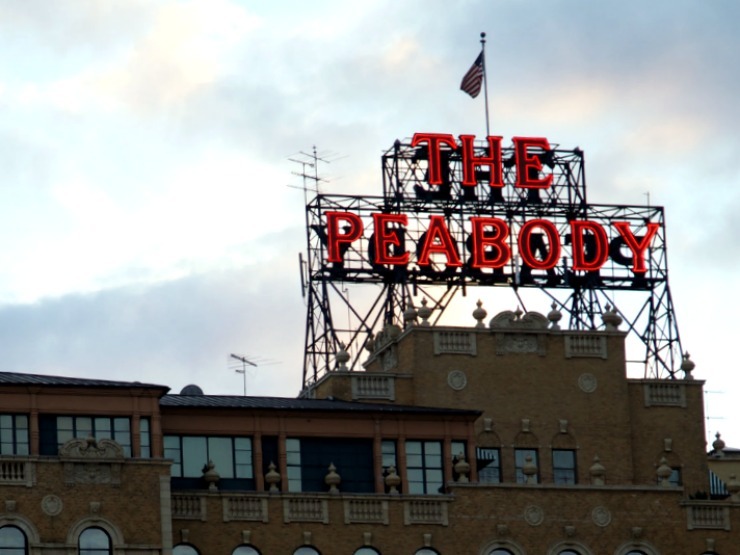 If you are staying in the American 'deep south' on a music tour, consider The Peabody Hotel Memphis. This luxury hotel in downtown Memphis is literally around the corner from Beal Street with the shops, bars and people watching. 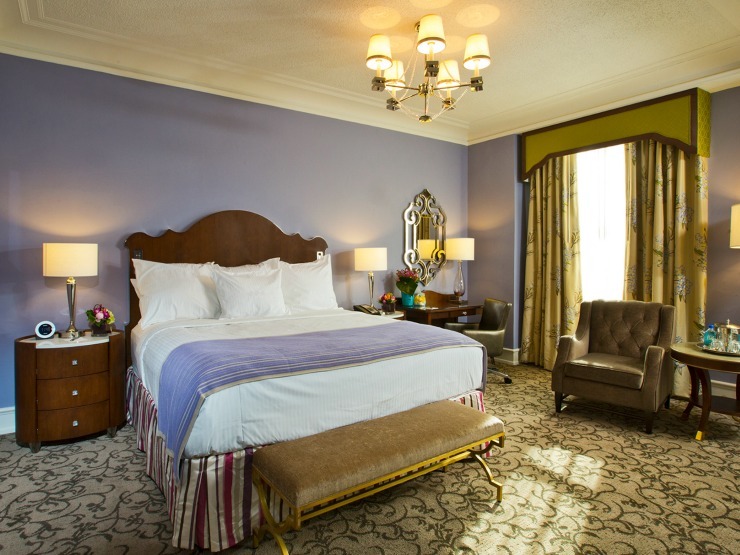 With rooms in muted shades of lilac, cream and beige, impeccable service and staff that have southern charm, this historic hotel is elegant, comfortable and luxurious. 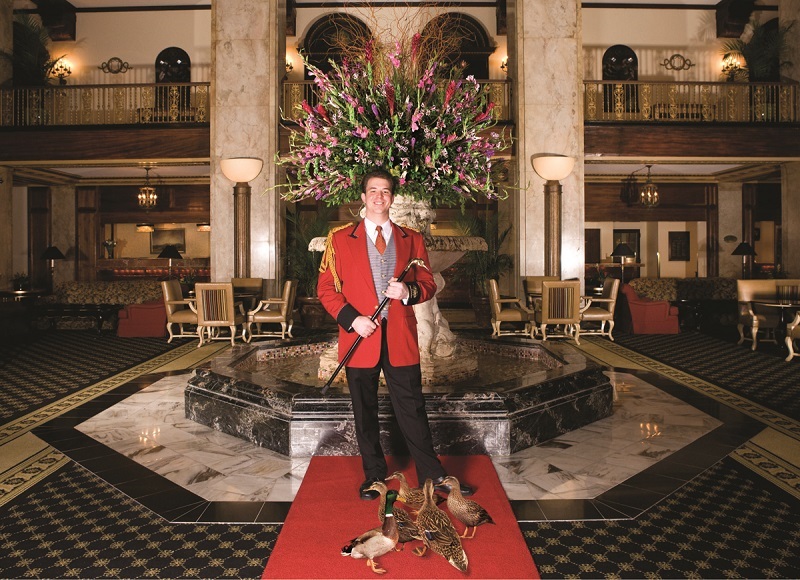 It also had some well-known residents - the Peabody ducks! These ducks live on the roof and every day the 'duckmaster' guides them down in the lift and into the foyer so they can have a paddle in the fountain. Yes, you heard me right. It's such a spectacle that people come from miles around just to see them! It also has a branch of Lansky Bros, the store where Elvis used to buy his famous shirts and jackets for the stage. Recommended for the ducks of course! 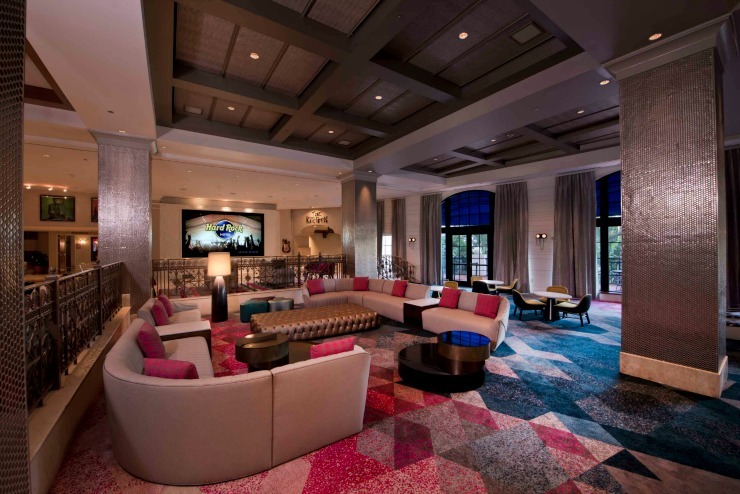 The Venetian Hotel Las Vegas is a five-diamond luxury hotel and casino on the Las Vegas strip. 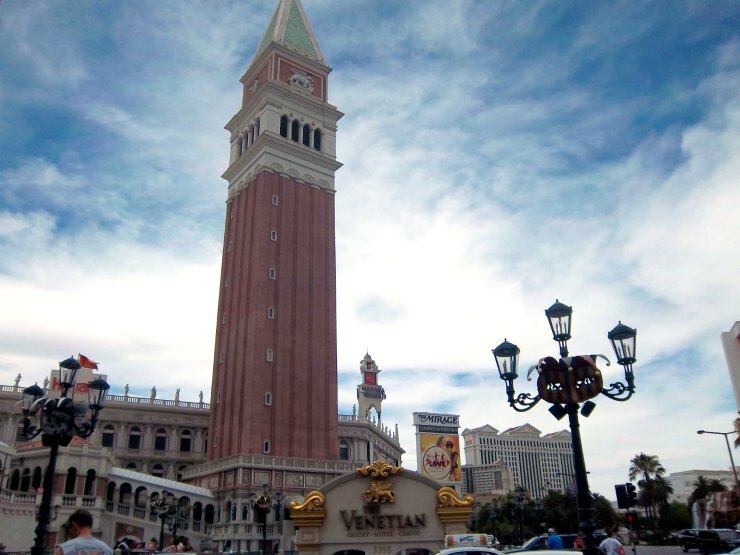 The Venetian is not just a hotel though, oh no, it's a resort complex, together with The Palazzo Hotel and the Sands Conference Centre that makes it the second largest hotel in the world with over 4000 rooms. 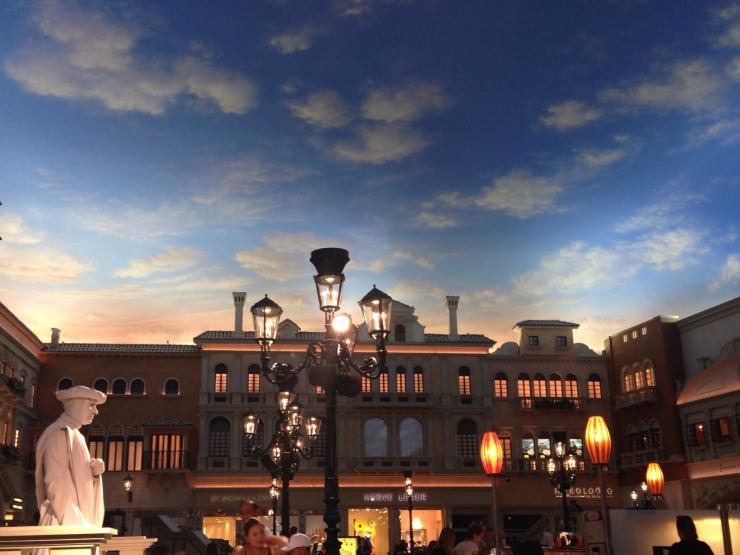 The Venetian hotel is jaw-dropping in its attention to detail. 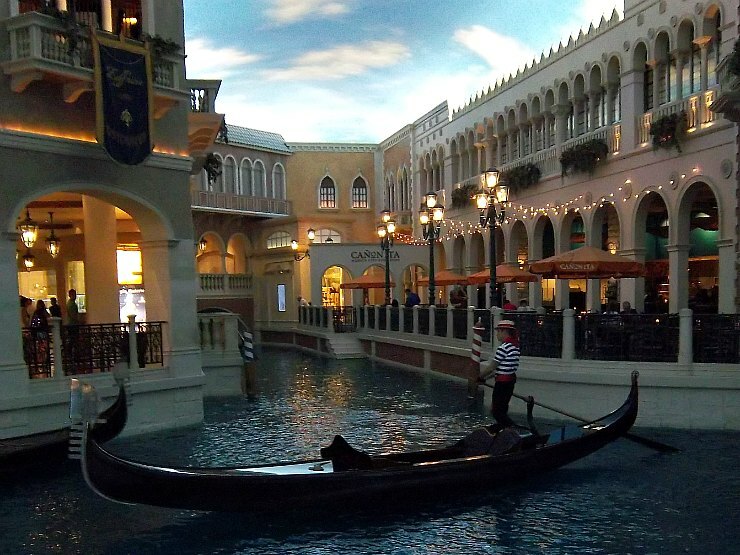 The hotel is themed around Venice. You can even visit a copy of St Marks Square in Venice, complete with shops, restaurants and performance artists, under a fake twilight sky. 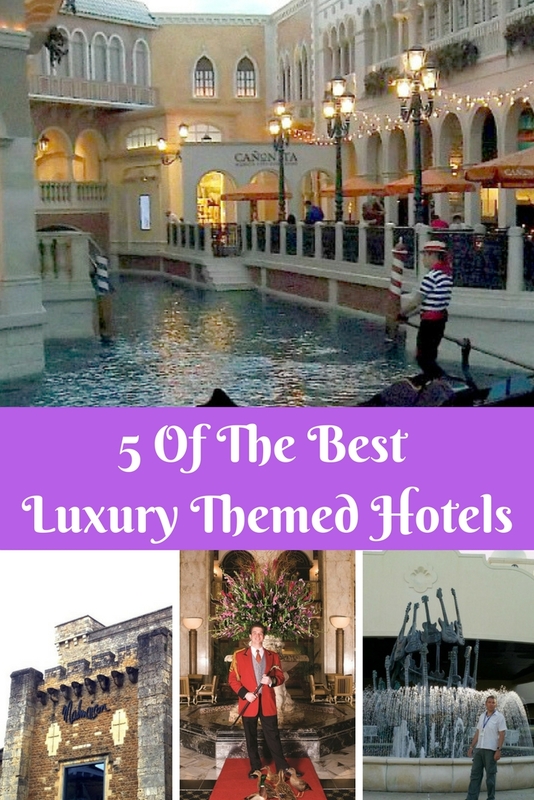 See the Bridge of Sighs, the Campanile Tower, the Rialto Bridge, and the Doge’s Palace. 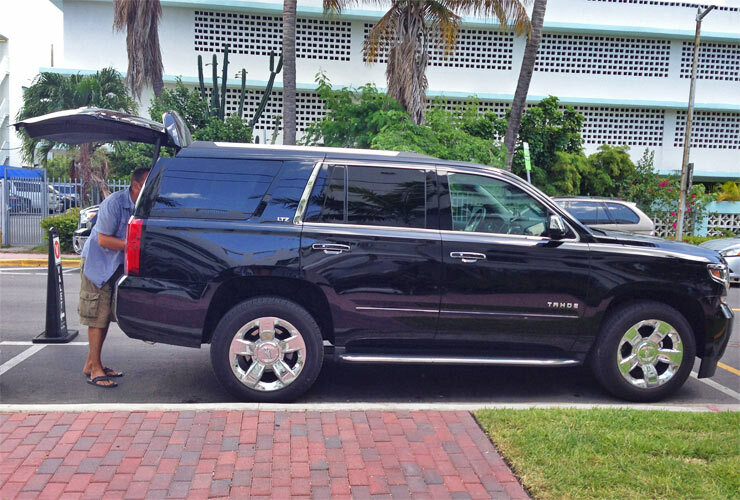 Service was impeccable, with cases arriving at our rooms in little over ten minutes. 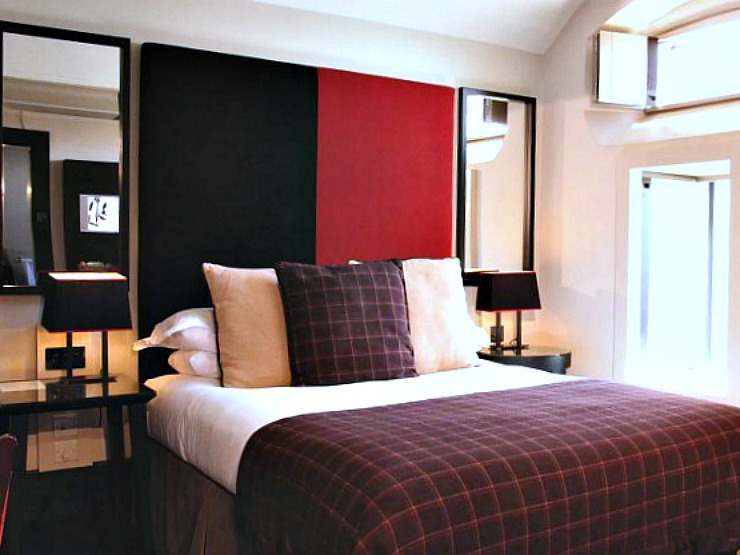 For affordable prices, stay in the week, and avoid when there are big events on. Recommended for the experience, you will never see anything like it. 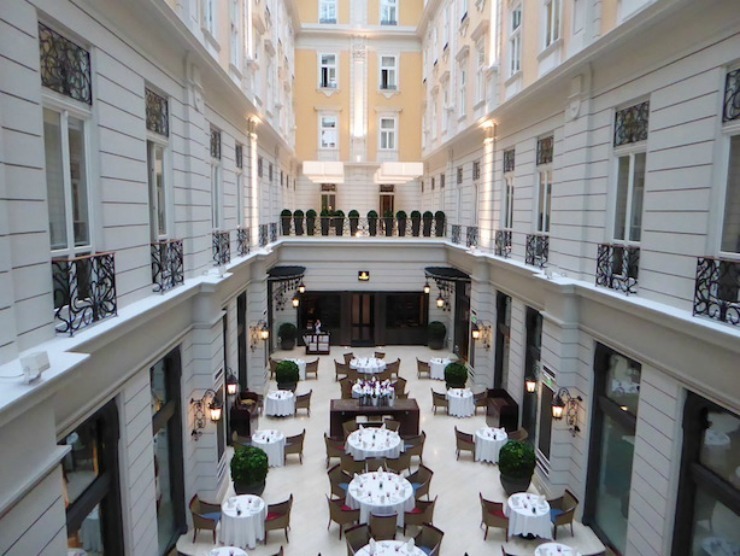 The Corinthia Hotel Budapest is a historic luxury hotel opened in 1896 as the Grand Hotel Royal in Budapest, Hungary. 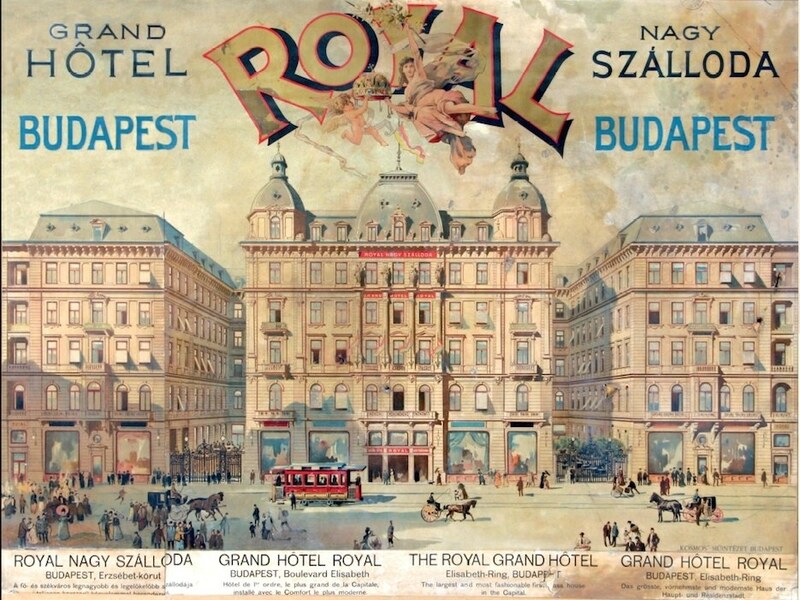 It was (and still is) the place to go for movie stars and dignitaries in Budapest, and used to have a large cinema that accommodated over 1000 moviegoers in its time. Taken over by the Corinthia hotel group in 2002, it is thought to be the inspiration for the Wes Anderson film The Grand Budapest Hotel, as he had a private tour of the hotel previous to the film being released. It's also a bargain price for a 5-star hotel. 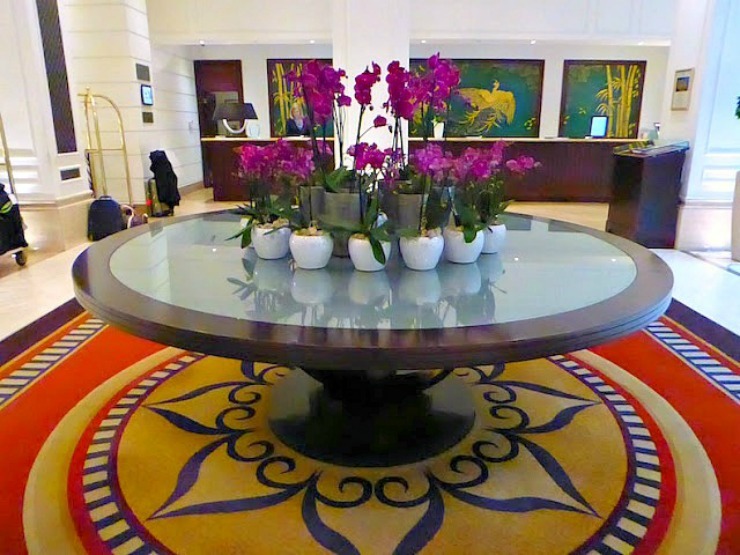 If you want to find out more information read my review of the Corinthia Hotel Budapest. Recommended for the beautiful building and the movie connection. 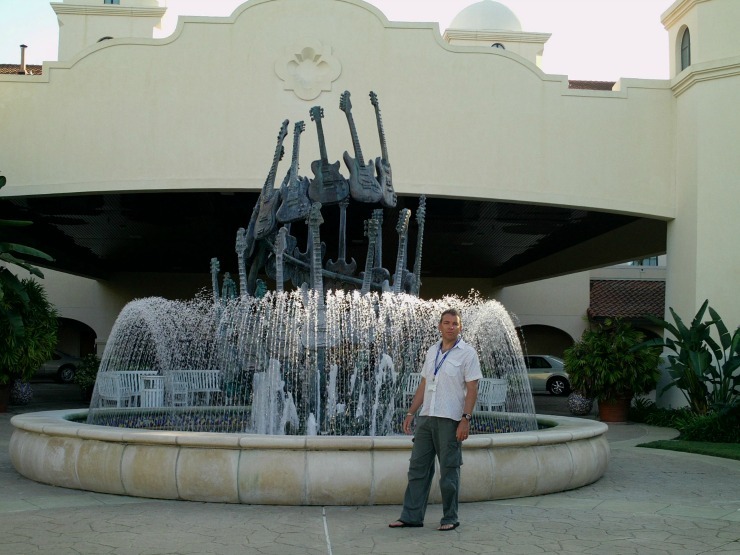 The Hard Rock Hotel Orlando is part of one of our favourite hotel chains - the Lowes Hotels. 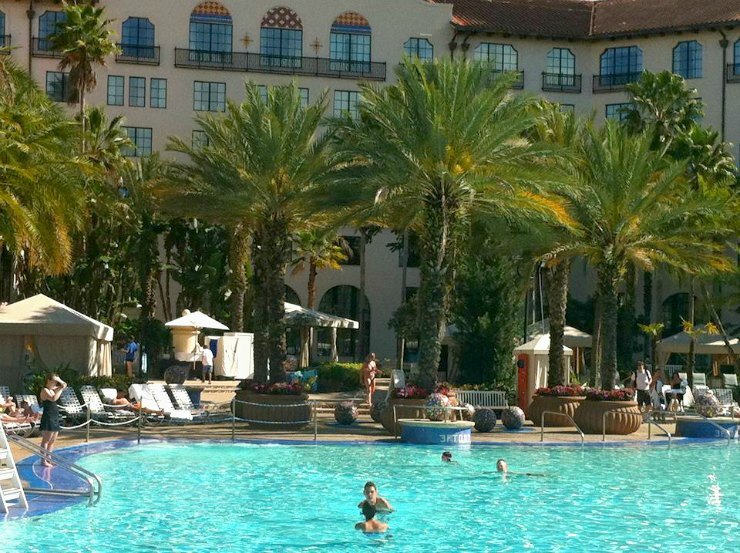 The Hard Rock Hotel is a family-friendly, music-themed hotel, a five-minute walk to Universal Studios Orlando and the City Walk restaurant, shop and bar complex. We especially loved the pool area complete with sandy beach, slide and underwater music, as well as the super cool Velvet bar and live music offerings on a weekly basis. As a partner hotel to Universal Studios and Islands of Adventure theme parks, if you stay here, you also get special privileges with your admission ticket to the parks. This includes early entry, 'Ultimate Express' unlimited ride access, fast passing queues, priority seating to restaurants at both theme parks and Universal City Walk and lots more. Recommended for music fans everywhere and it's theme park privileges. So this is 5 of the best-themed luxury hotels I have experienced. What do you think of these hotels? Have you ever stayed in a unique hotel? There are a number of options available to you when choosing bedroom flooring and you may not know where to start in researching this. 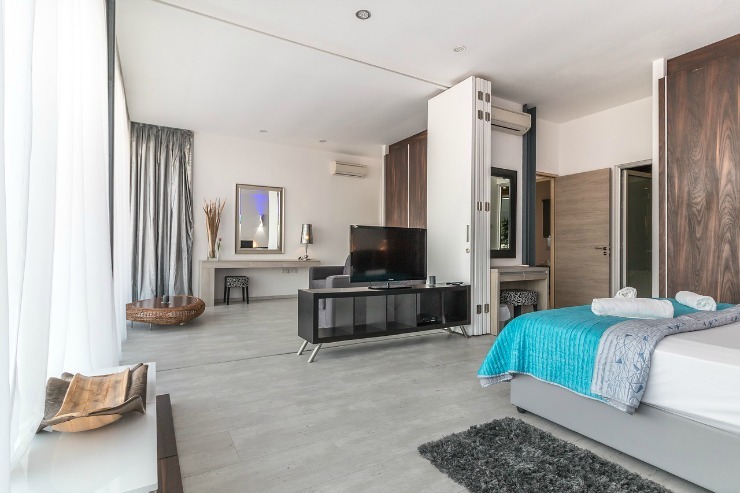 In this guide, I will take you through the mains type of flooring suitable for your bedroom, taking into account ease of cleaning, how it feels underfoot, design and aesthetics and cost. Solid wood flooring is 100 percent natural wood, refined from a piece of hardwood and then treated to give it a protective coating. It has a beauty and warmth and fits in with most styles of decor. It is normally laid in strips or planks in a bedroom although parquet is also popular. Parquet flooring is where individual pieces or blocks of wood are fitted together to form a patterned floor. Solid wood flooring can be pricey but lasts years. Keep it clean by daily sweeping. For a more thorough clean vacuum it and mop with a damp mop. Solid wood flooring may need to be oiled, check with the manufacturer when it is installed. Laminate flooring is made of a layer of melamine and fibre board, with a wood effect top. It is available in a wide range of wood designs and colours. Laminate flooring is versatile, easy to clean and fairly durable, although it is suspectable to scratching. It is also cheaper than solid wood flooring so is a useful compromise when you want the look of solid wood flooring without the price. Keep clean by sweeping on a daily basis and mopping with a damp mop weekly. Vinyl flooring, a synthetic cousin of linoleum, is available in a very wide range of designs including patterned, plain and wood designs and is stain and water resistant. Underfoot it has a cushioning effect so it is soft and has insulating properties keeping your room cool in summer and warm in winter. Vinyl flooring is very easy to keep clean, so it is especially good for a child's bedroom, just sweep or vacuum it and use a damp mop. It is also very cheap compared to most flooring and is a cost-effective option for your bedroom. 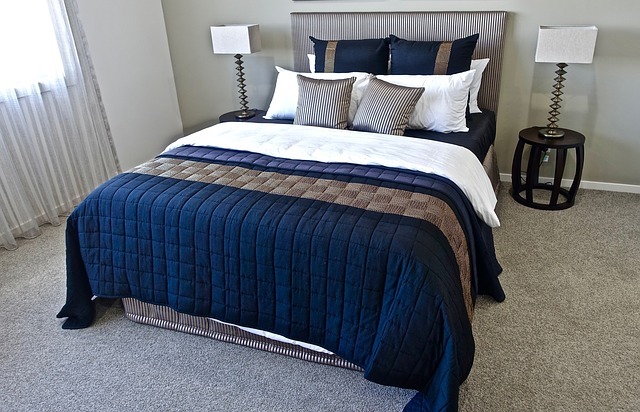 Carpet is a popular choice for a bedroom as it is warm and cosy underfoot, soft and insulating. It is available in many designs and colours, for most price points and is very versatile. Carpet is available in synthetic and natural wool, the latter being the most expensive option. Carpets can stain so look for carpet with a stain guard to protect it - especially important in a child's bedroom. Carpets can hold dirt and dust and this is a consideration if you have those with allergies and asthma in the home when you should probably consider other types of flooring. To clean a carpet, simply vacuum and to treat any stubborn stains, clean with a recommended carpet cleaner. 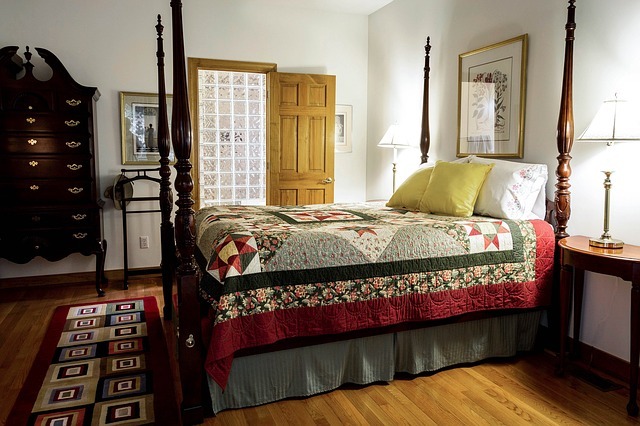 Ceramic tile or stone flooring looks great but is very cold underfoot, so it not the best option for a bedroom. It also doesn't have the sound insulation you get with other types of flooring so underfoot it can be noisy to others in another room. The cost is also considerable with this type of flooring so only think about it if it fits in with the style, for example, a Mediterranean villa or Spanish style property. So here is a quick guide to choosing your bedroom flooring. Which choice of flooring for your bedroom do you prefer? 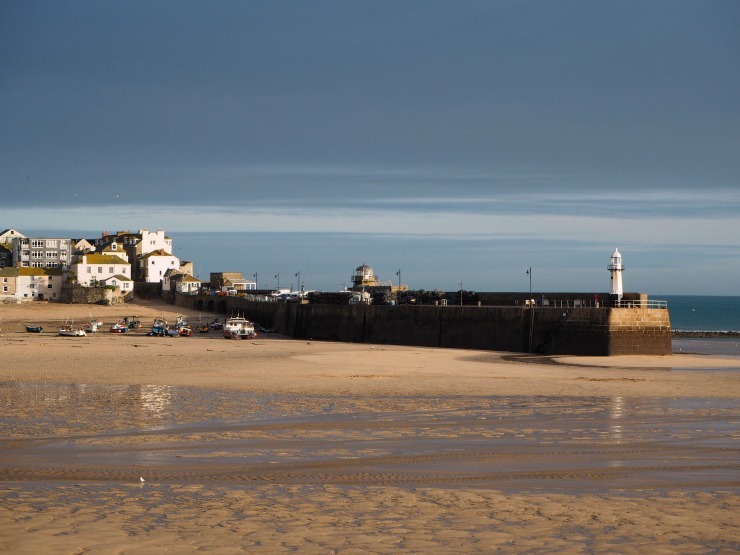 St Ives in Cornwall is one of those postcard-perfect seaside towns that Cornwall does well, but it has a depth and appeal that goes beyond the traditional seaside resort, and it is a town that I would recommend a visit to all year round. 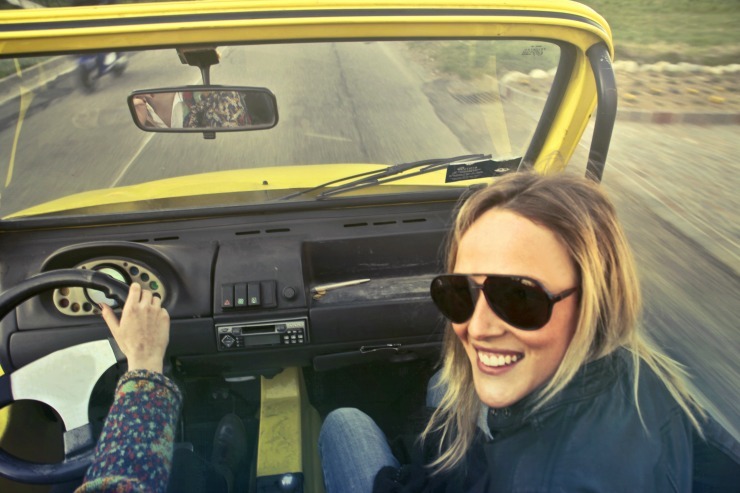 With a wealth of funky art galleries, amazing restaurants, cool independent boutiques and artsy gift shops, as well as the powder sand beaches, it caters for almost everyone, from young people to families and older couples alike. 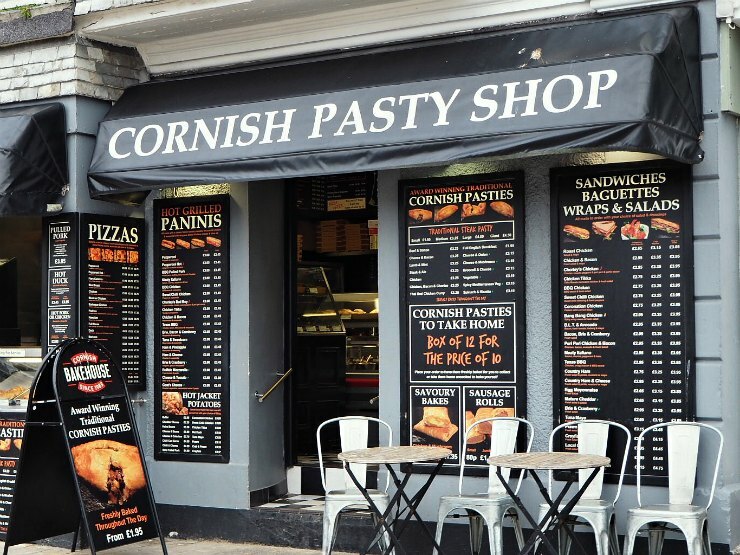 The smell of Cornish pasties and fish and chips permeates the air, and your stomach rumblings mean you will finally give in to a mouthwatering layered pasty. 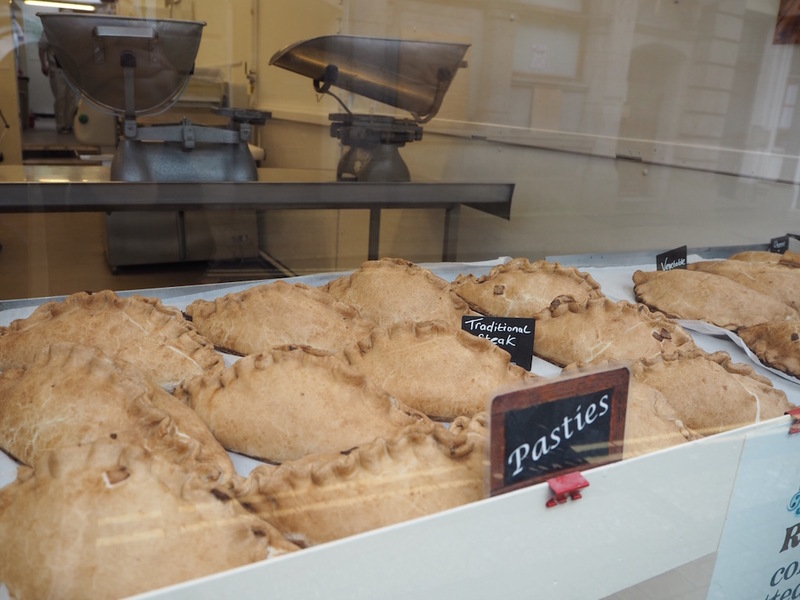 The classic Cornish pasty is a thing of beauty, shaped like a D and crimped on one side. Traditionally made of beef, swede, potato and onion it's a filling snack and one which you should try when in St Ives. 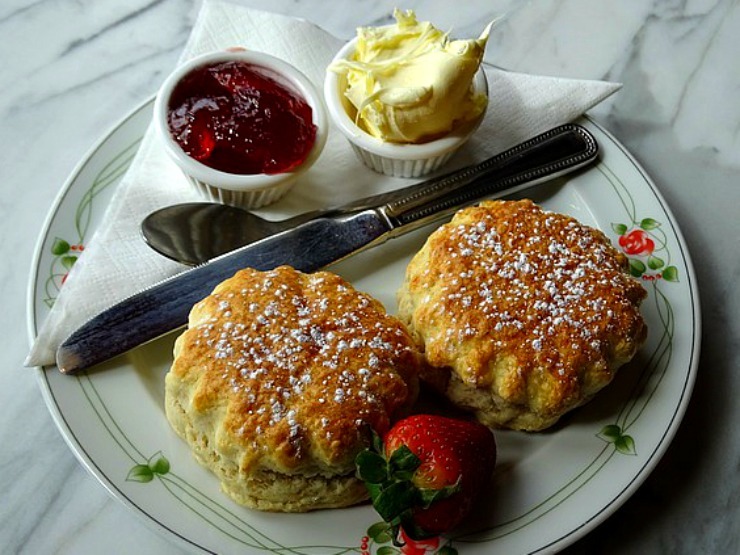 Besides the Cornish pasties, this area is also known for its cream teas, the best comprise of warm scones from the oven, with fruity strawberry jam and clotted cream, thick with a crusty top and gooey centre. Serve with lashings of English breakfast tea, the Cornish cream tea is an iconic afternoon treat. St Ives is also known for its amazing fresh fish and some of the best restaurants in St Ives feature fish heavily on its menu. From the Seafood Cafe with fish so fresh it's almost swimming away, to the award-winning Porthminster Cafe, with amazing views, serving sustainable fish and featured in the Good Food Guide, you will be spoilt for choice in St Ives. Although it's not sophisticated, don't forget the fish and chips! This classic seaside staple is something to be enjoyed out of a paper bag, with hot steamy chips reeking of vinegar and white flaky cod in a crisp light batter whilst watching the sun go down. Be careful though of the seagulls who are tremendously cheeky around these parts, or they may make away with a chip or two. Its magical light means it's a haven for artists. Even in the winter, you only have to take a stroll to the seafront to watch budding artists set up their easels by the harbour walls, their long brush strokes capturing the crashing waves. In the town there are a number of galleries, selling work by local artists. 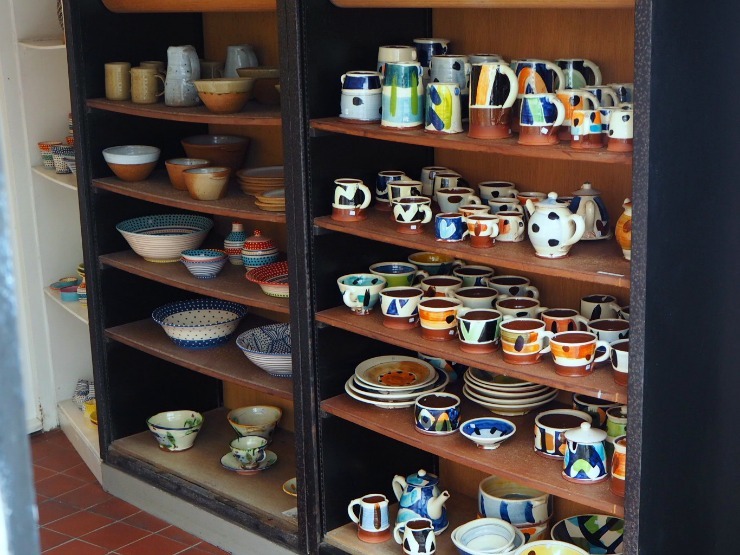 The Blue Bramble Gallery was a treasure trove of contemporary and traditional designs, from talented painters, sculptors and craftspeople, while the Porthminster Gallery was another exceptional gallery selling artwork and pottery by local artisans. A highlight of St Ives for us was the Tate St Ives. This modern art gallery, a sister to the Tate Modern and the Tate Britain, is smaller than it's London cousins but still perfectly formed. 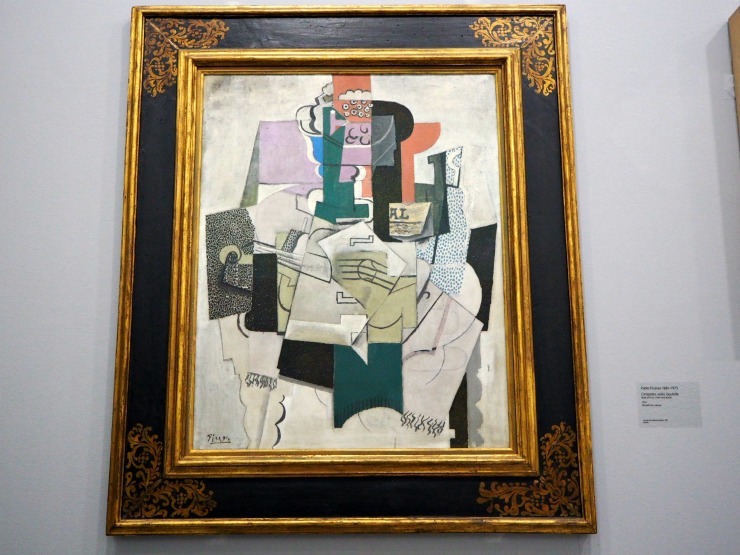 See amazing works of art from Piet Mondrian, Henri Matisse and Pablo Picasso to Barbara Hepworth and Henry Moore. Don't forget to stop off at the rooftop cafe for cappuccino and cake with views over St Ives. The Barbara Hepworth museum and sculpture gardens are also worth a visit. One of the few female British artists of her generation to achieve international prominence, she is particularly known for her modern sculptures. 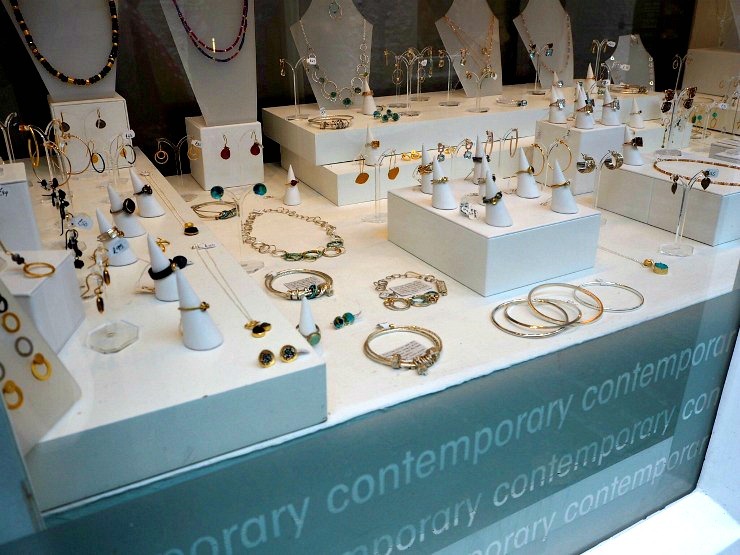 The independent shops in St Ives have a wealth of gorgeous fashion, home, jewellery and gift shops. Trelyon Gallery sells contemporary jewellery at affordable price points, and I was very tempted by a beautiful silver bracelet, whilst Home and Gift St Ives had some cool retro maps and travel prints that we adored, and the Painted Bird sells a diverse collection of gifts and crafts perfect as a souvenir of your stay. 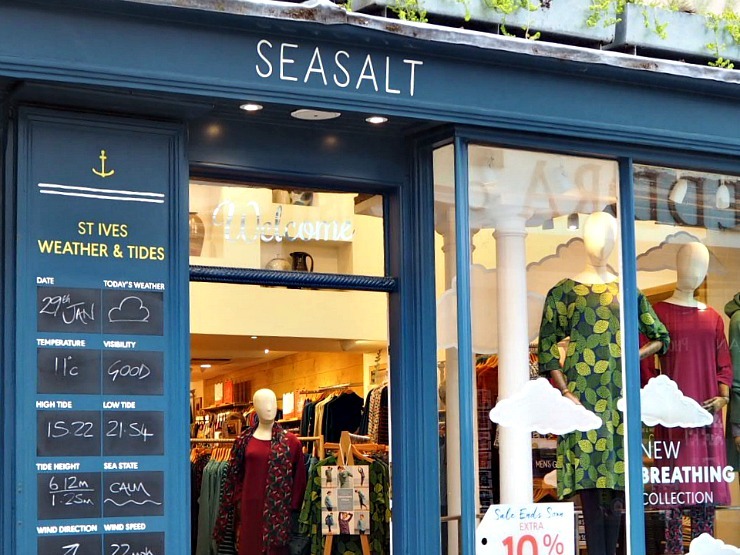 As well as independent shops there is also a range of well known high street brands, many with a beach/surf theme such as Weird Fish, Fat Face and Seasalt, as well as shops like Joules, Mountain Warehouse and Superdry. 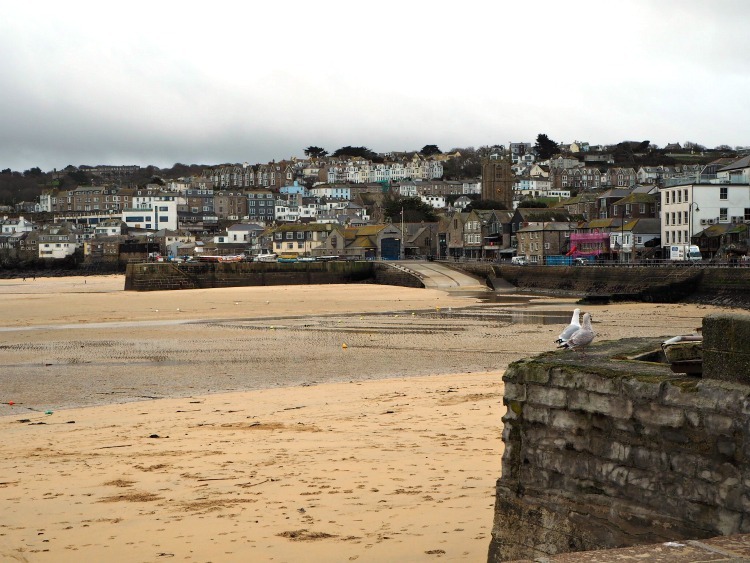 With an abundance of gorgeous blue flag beaches perfect for surfing and windsurfing and rocky outcrops that just invite adventure, St Ives and the surrounding area has just some of the best coastline anywhere in the world. Why not go rock pooling near the Pedn Olva hotel, or take a boat tour from the harbour to go to Seal Island, where you can see, you guessed it - seals?! The Dolly P boat from St Ives Boats also offers trips to Godrevy Lighthouse and Hell’s Mouth, as well as fishing trips and private charter. 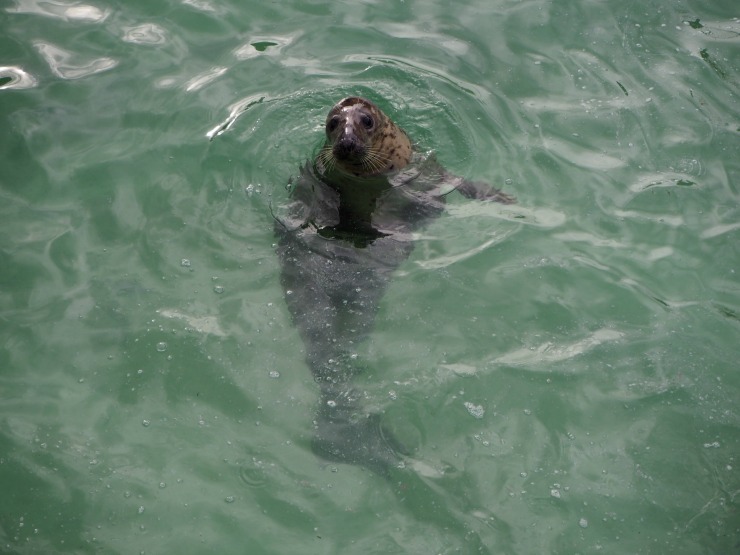 If you are not lucky to catch the seals, a trip to the Gweek Seal Sanctuary, 40 minutes from St Ives is highly recommended. A sanctuary for marine animals and injured seal pups, you can even have 'breakfast with the seals', where you get a chance to feed the fish their breakfast, have a tour of the sanctuary and later have your own continental breakfast in their cafe in with the ticket price. When you think you know all that St Ives has to offer, the charm, the food, the scenery, the beaches, the art, the culture, it smacks you in the face with something unexpected. If you are brave one night I recommend going on a ghost walk of the town with Shanty Baba. 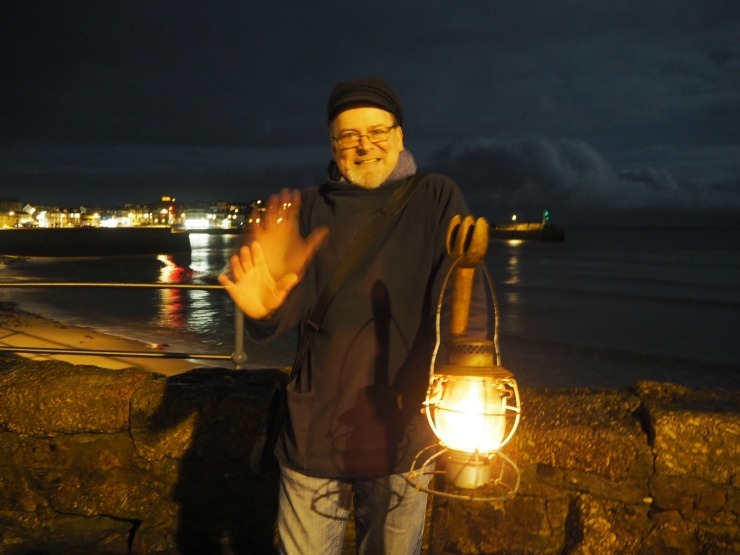 In the eerie light of a lantern, let this local character tell you stories of fishermen lost, the plague, and ghosts galore. It's immersive, it's spooky, it's based in fact but above all it's entertaining. Definitely recommended. To find out about the cultural events in Cornwall and what's happening in the area check out Cornwall 365. 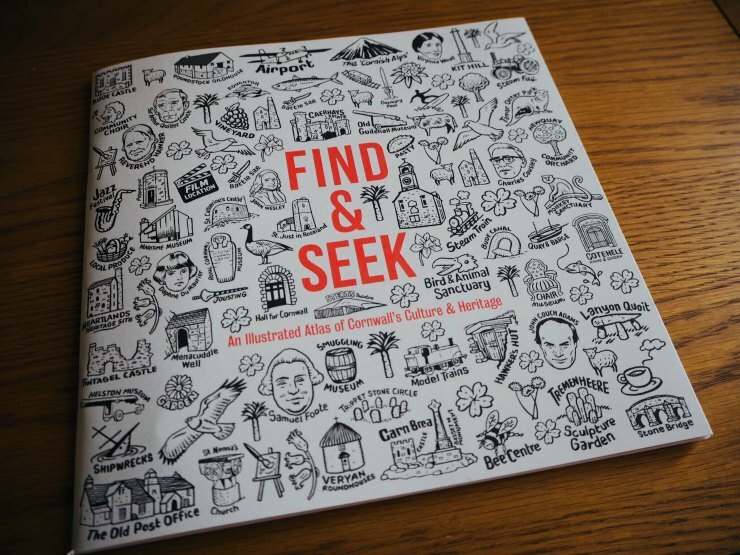 You can also send for an illustrated atlas of Cornwall's culture and heritage called Find & Seek. Packed with all the interesting events going on throughout the year in Cornwall. 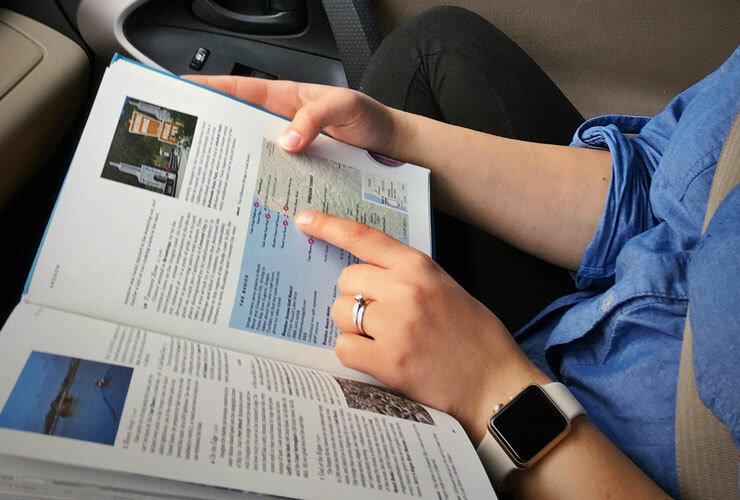 With hand-drawn maps and an overlay section that you can personalise this great guide is something you can make into your own personal adventure. 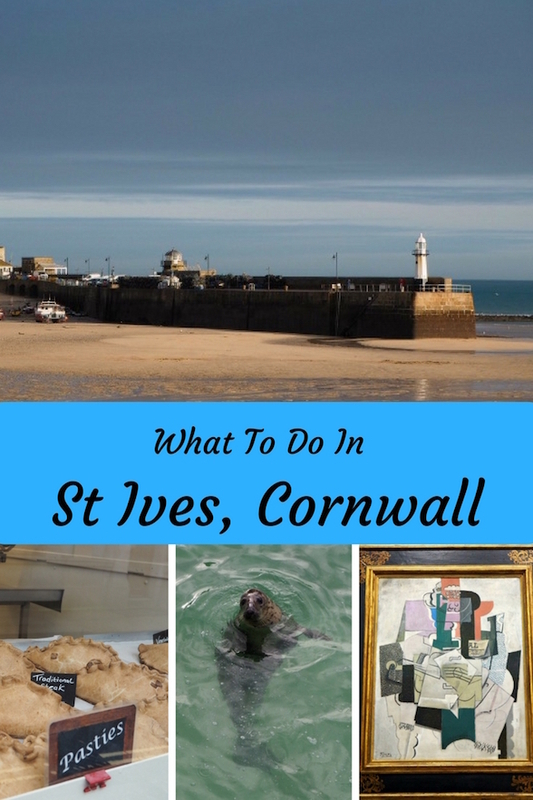 So this is my guide on what to do in St Ives Cornwall for a first time visitor. Check out the video below from the YouTube channel I create with Mr W, Fly Drive Explore, about our travels and laughs around the world as over 40's travel bloggers. Let me know, have you been to this area of Cornwall? Do any of the activities appeal?